Takeaway: Learn to touch type if you type a lot – it will save you an incredible amount of time. Estimated Reading Time: 1 minute, 20 seconds. Computers (and keyboards) are here to stay. 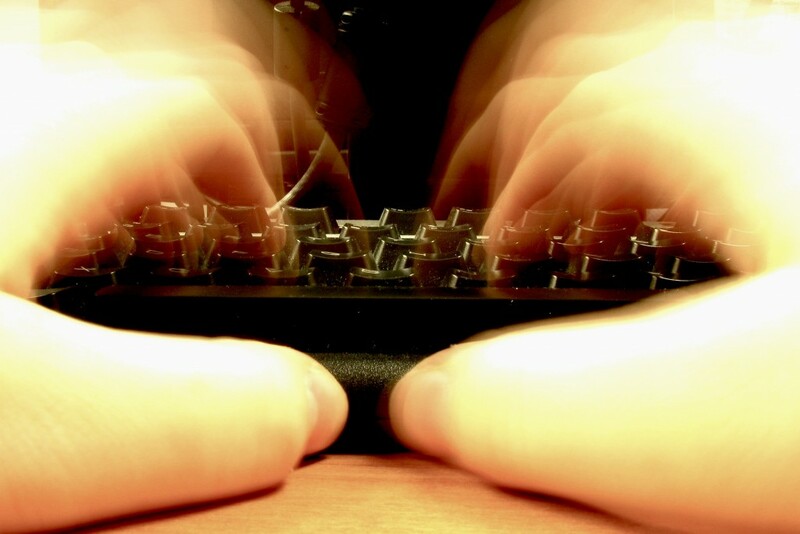 If you spend 30 minutes a day typing, over the course of a year that adds up to 7.5 days of typing nonstop! The average typing speed is about 40 WPM, and touch typing can boost that to 60-80 WPM – a 50% to 100% increase.1 If your typing speed increases just 50% through touch typing, you will end up saving about half a year of time throughout your life. There’s no doubt that learning to touch type is a high-leverage activity you should take up if you type a lot. Typing Club gives you simple star rating at the end of each lesson, in addition to detailed stats for how you did. I’ve searched high and low, and the best touch typing learning tool I have discovered is Typing Club. It’s free, incredibly well-designed, friendly, fast, and powerful. And there’s nothing to download. There is a paid version, but it’s designed for schools – you shouldn’t ever need it. Unless you are a school. But you are not a school. You are a human. If for some strange reason Typing Club doesn’t cut it for you, Typing Web is a close second. It’s also completely free, and there’s nothing to download. Two other suggestions from Adam Fort in the comments: TypeRacer, and Ratatype. I’m personally going to be investing a good chunk of my time into learning to touch type. The biggest tip I’ve read about touch typing it to not get frustrated by your error rate (that’s what made me quit when I tried to learn a couple of years ago). It will take a few weeks to reprogram your muscle memory, but in the end, especially if you type as much as I do, it will be worth it.